San Luis Obispo County’s billion-dollar agricultural industry – which encompasses everything from strawberries to beef cattle – vies for first place with tourism as the top economic engine of our county. More importantly, it provides our most basic need — second to water – food. It also provides for the livelihood of tens of thousands of county residents. If we calculate how agriculture indirectly supports tens of thousands more working in associated industries or businesses which benefit from a thriving farming sector, those numbers climb even higher. County leaders and businesses have worked together to pair these two very important industries by creating ag/tourism synergy that further supports our local communities. The fact is that California’s political leaders failed to envision the massive population growth this state has experienced in the last several decades, growth that has greatly increased the demand for water and food production. State and federal water projects were cancelled or left incomplete. Giant third-phase reservoirs like the Ah Pah project on the Klamath River ( which would have provided an additional 15 million acre-feet of water ) were abandoned. There is no way a state as large as California can accommodate huge increases in population without a renewed commitment to updating and expanding infrastructure, in this case dams, reservoirs, and other water storage facilities. Making farmers pay the price for the failures of our leaders at the state and federal level is unfair and self-defeating. Locally, we have continued to approve development without providing a sustainable water supply for our own residents and industries. There are decisions we can take at the local level to mitigate the water crisis without sacrificing our agriculture industry. For example, despite documented annual overdrafts since the 1960’s from the Arroyo Grande/Nipomo Mesa aquifer, and despite the shallow mesa aquifer having been destroyed by leaking refinery pipelines in the dunes, the county continued to approve new development. We now have to live with the consequences of those decisions. It is unfortunate that some county supervisors who are so willing to slap water restrictions on agriculture are the same ones voting to approve developments that would build hundreds of new homes that will increase the already overdrawn water demand. We must stop approving projects which need more water until we have a sustainable water supply for our current residents and each new development thereafter. Development dollars must go to recharging our aquifers, building new facilities, and expanding existing storage where it is environmentally appropriate, to prevent the real threat of seawater intrusion. This is the right approach to addressing the drought at the county level. Punishing farmers and ranchers and a billion-dollar industry that sustains the basic needs and the livelihood of so many in San Luis Obispo County is the wrong approach. 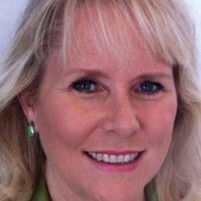 Debbie Peterson is the former mayor of Grover Beach and a candidate for District 3 Supervisor. Developers have nothing to do with unions anymore. Nor any English-speaking, legal, non-union labor. All deals are made with pieceworkers out of Santa Maria who they manage to employ as independent contractors. Middle-class wages cut into the profit; you’re not a communist are you? In the same report, you’ll see that of that acreage, most is planted to wine grapes; more than all other uses combined. You’ll also note that the value of the vine crops is LESS than the value of the vegetables, although they take much more irrigated acreage. So we’re mostly talking about wine here, not food. As far as sustainability goes, how long can you grow crops that require 25″ + of water in an area that gets an average of 12″? The result is increasing soil salinity, which has already destroyed many acres in the valley. Farmers may complain about less water for things like strawberries, but the fact is, without adequate rainfall those fields WILL become unusable, the only question is how long it will take. Many folks have made many bad decisions regarding land use for a LONG time. The current drought is simply exposing that lack of future-oriented thinking. SLO county’s economic health for the long term cannot rely solely on Cal Poly, PG&E, tourism & (corporate)wine. There is no doubt that protecting agriculture protects property rights, not only for the rural dwellers but for the city dwellers too! A vote for ag has many benificial consequences. Good points from a few commenters about “Those who talk the talk, should walk the walk”. It’s true the State Water Project has failed on many levels. That’s why I believe the state should invest in buying back water rights instead of enabling a broken system with more infrastructure for adding supply. State Water Project = State Water Placebo until entitlements = actual supply, and that will never happen until we shrink entitlements. On a local level, Debbie Peterson is “walking the walk”. Keep it up! Because the Unions and Developers give big $$$ to Gov. Brown and the Democrats in power and then they want their payback.